The uncompromising and comfortable designs of Quantum Bath Chairs, Parts & Accessories give the gift of independent living. Sportaid offers a complete line of Quantum Bath Chairs to eliminate the stress involved in your shower routine. These bath chairs from Quantum are simple and safe to operate. 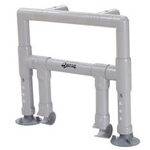 The portable and lightweight bath chairs come with fully adjustable height and are reversible for right or left entry. 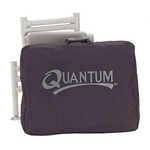 Whether you want the Quantum Bath Chair with Commode Seat or the Quantum Bath Shower Chair, we can help you maximize your comfort by offering the best option. 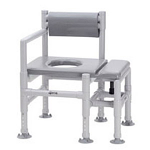 Browse through our selection of Quantum Bath Chairs, Parts & Accessories or feel free to call 1-800-743-7203 for help. Select from the top manufacturers and save big with Sportaid.com's everyday low prices. Get the best deals on Quantum Bath Chairs, Parts & Accessories with savings up to 30% at Sportaid! Whether you are a first time shopper or one of our most loyal returning customers, we guarantee satisfaction. 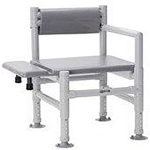 After over 25 years in the business helping people find the right Quantum Bath Chairs, Parts & Accessories at the lowest prices, we continue to lead the industry! 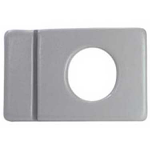 We carry a large selection of wheelchair cushions, wheelchair parts, and wheelchair accessories. We are capable of beating any competitor's advertised price, just call! Our customer service staff has over 50 years of experience, plus over 90 years of combined wheelchair use experience. We look forward to working with you!